Netflix has supported Google Assistant for a while, but as it only started up the main user profile, the hands-free benefits of the voice assistant were somewhat limited if you lived in a busy household. Fortunately, Google has announced that it’s expanding Google Assistant’s voice match feature so that users can open their personal Netflix profile without having to reach for the remote. If you’ve already set up individual voice profiles for your household, linking them to the right Netflix account is as simple as going into the Google Home app’s video settings and accessing the manage profile section. From here you can decide which Netflix profile is linked to your voice profile. This will mean that now when you ask Google Home to start playing Netflix, it’ll start from where you last left off, reducing the risk that you’ll jump into your flatmate’s profile who’s watching the same show, just five spoiler-filled episodes ahead of you. 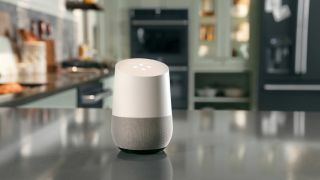 Though this is a small improvement to Google Home, it’s one which makes it the more appealing digital assistant option for those living in a busy home.